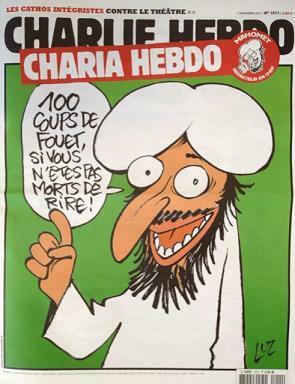 * Officer Down: Bob Enyart grieved the murder of a French police officer by Muslim terrorists (excuse the redundancy) outside of the headquarters, and the murders of eleven others, at the headquarters of a magazine that mocks the prophet Muhammad. Sadly, the Obama administration had previously criticized some of those murdered by Muslim terrorist (excuse the redundancy) for being "insensitive" to Islam. Meanwhile, we Christians can help increase our national security by exposing the lies of Islam and by preaching the Gospel of Jesus Christ. * See KGOV.com/terrorism: for the best definition of terrorism, and other important insights.